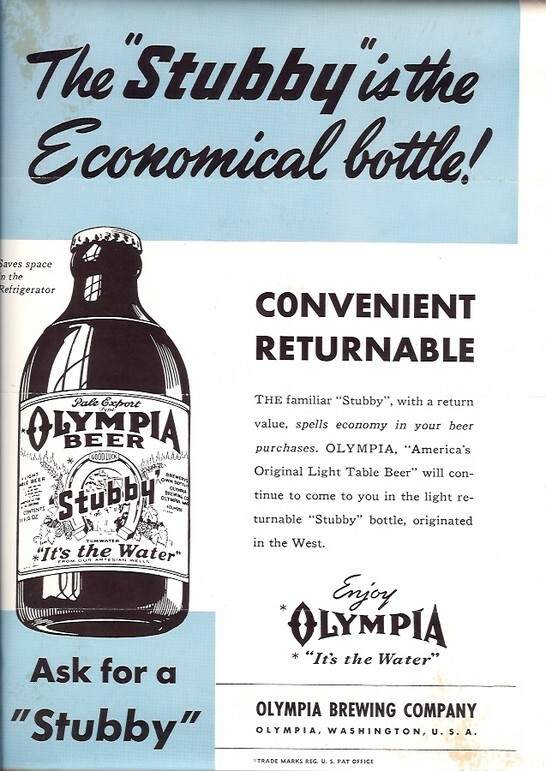 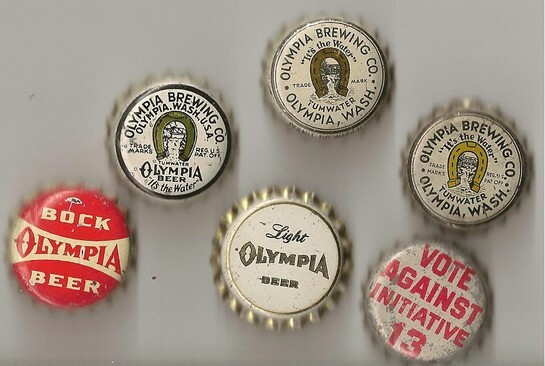 One of the more popular sizes because of the more beer for your buck motto Oly quarts come in a variety of shapes from the classic extra large stubby style bottle to the long neck whiskey style bottle. 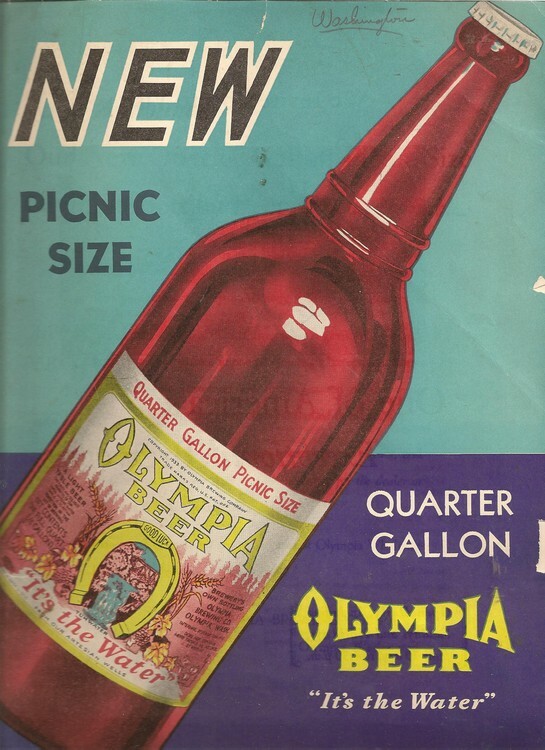 The tall quart with the newer style label was purchased(and enjoyed) by me in Missoula Montana in the 1990's It was available at a downtown deli and was one of like two locations where you could even find these, the other being a chain of low cost grocery stores in Nevada. 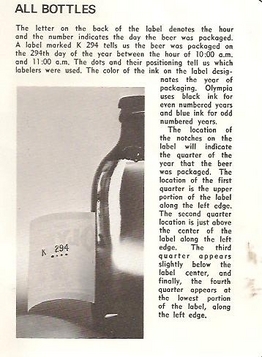 Note the rocket top version of the Oly quart a non deposit non return bottle.